The Italian government approved a set of welfare reforms on Thursday deemed unsustainable for Italy’s economy by critics. The reforms on the welfare and pension system were election pledges of the anti-establishment Five-Star movement and the far-right League party. 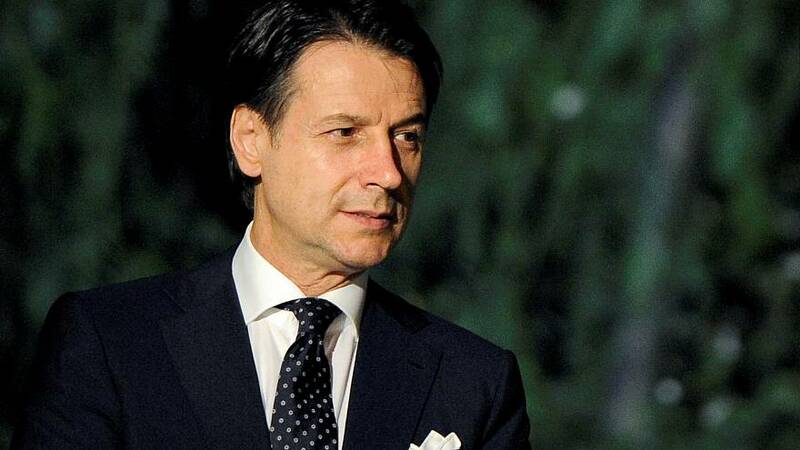 Italy's Prime Minister Giuseppe Conte tweeted he was proud of delivering on a campaign promise. They will now need to be approved by parliament within two months. The reforms provide income support for the poor and allow people to retire earlier. The Five-Star movement has been rallying for an income support scheme also known as the “citizens’ income” for decades. "This reform will improve the quality of life for 5 million Italians in difficulty," said 5-Star leader Luigi Di Maio. "We have founded a new welfare state in Italy." In 2017, five million Italians lived in absolute poverty, defined as not having enough money to buy a basket of basic goods and services, according to the latest data by the Italian statistics body ISTAT. The majority of those five million were in southern regions where Five-Star had the strongest following. How much will the scheme cost the government? The latest version of the scheme will cost the state around seven billion euros. The scheme will provide financial support of up to €780 per month to each person in a household living in a rented place and with no other source of income. 150 of this sum needs to be used to pay rent or a mortgage. If a person does have an income that's below €780 per month, the scheme will top up to this sum, considered the poverty line for a single person paying rent. Single people with more than €6000 in savings will not profit from the scheme. Those benefitting from the scheme will get a debit card, which will be loaded with the money at the beginning of each month. If at the end of the month there is still money in the card then it will automatically expire. This is to encourage people to spend and boost the economy, said Labour Minister Luigi Di Maio. Will non-EU immigrants be able to profit? Non-EU immigrants must have lived in Italy for the last ten years to profit from the scheme. How does the government make sure people don't take advantage of the scheme? People receiving financial support and who are able to work must do eight hours of community service per week, attend training courses, and accept one of the three jobs proposed to them that matches their qualifications. The income can only be received continuously for 18 months after which the deposit is suspended and a new application must be submitted. A company that hires a person on the scheme gets the income of that person for the remainder of the 18-month period. If anyone is found guilty of frauding the system, they face up to six years in jail.